I hate when people call the original Star Wars "A New Hope"! When Star Wars was released in 1977, it had only one name, "Star Wars". When The Empire Strikes Back was released, audiences were caught off guard when the opening titles began with "Episode V, The Empire Strikes Back". This immediately implied that the first movie was actually Episode IV, and that there were 3 missing parts that would eventually proceed it. Regardless of this revelation, for all practical purposes, Star Wars was still... Star Wars, until they eventually released the original movie on VHS and they felt compelled to slap an "Episode IV" on it to make it official. 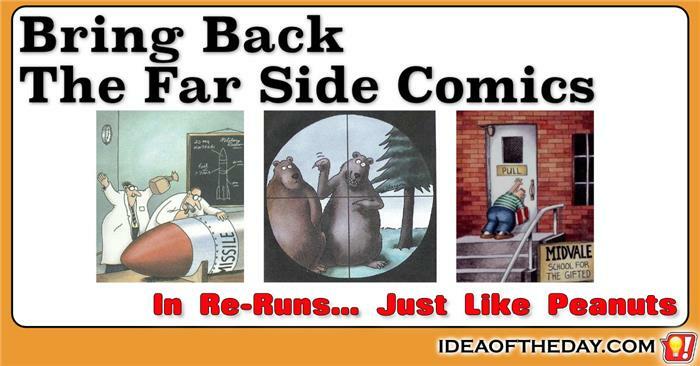 While I can understand that, they also slipped in a new title "A New Hope". Do you remember the ORIGINAL Famous Amos Chocolate Chip Cookies? The other day I picked up a bag of Famous Amos Chocolate Chip Cookies from a local deli. The cookies were pretty good, but those of us old enough to remember buying them over 30 years ago will remember an entirely different cookie. Back then, you couldn't get a bag of Famous Amos cookies in a deli. They were pretty expensive and you could only get them in upscale department stores and gourmet food stores. Each batch was hand crafted and had a nice blend of nuts and chocolate chips, but as they became more popular, he eventually sold the company and the recipe was changed so they could be mass produced. Whatever Happened To The Yellow Pages? When was the last time you used the Yellow Pages? Chances are, it's been years because most of us use the web as our primary way to find just about everything. The trouble is, although search engines like Google do a great job when you're looking for something specific, it does a terrible job when you're looking for something generic, like a local plumber or appliance store. That's because search engines weren't designed for people searching for local businesses by category. So although Google does a good job of finding a specific business when you search for it by name, you can't browse local listings as you would with a traditional Yellow Pages directory. 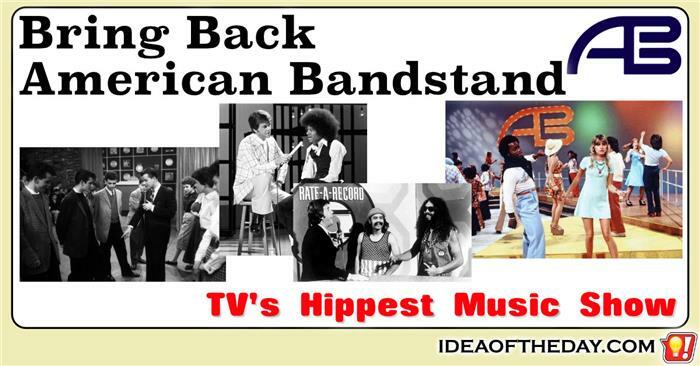 American Bandstand was an American Institution. It's been a long time since ABC's American Bandstand went off the air. For many people it was more than just a weekly dance show featuring the latest music of the day, it was a snapshot of American culture in a neat little package. If you wanted a snapshot of the latest music, dance, fashion, hairstyles, makeup and language of each generation, you didn't need to look any further than Bandstand to see it. Every week, the studio was packed with young people decked out in their trendiest outfits ready to dance to the latest music. 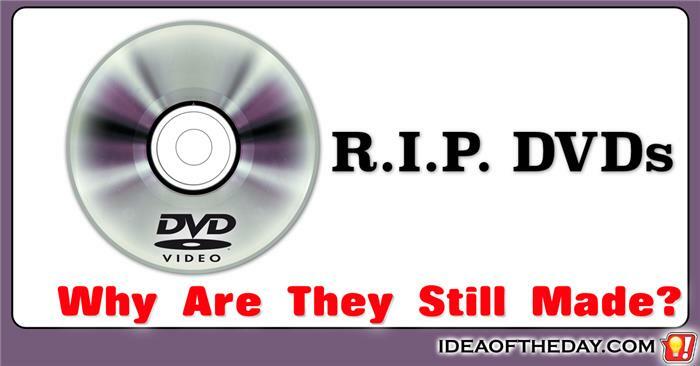 Why are DVDs still made? When it comes to new technology, I tend to be an early adopter, so when DVDs came along, I jumped at the chance to move from video cassettes to discs. It was an easy choice. I hated tapes, and DVDs had a much better picture, so I quickly started building a library of well over 1000 DVDs. As far as I was concerned, I was building a library that would last forever. Then HDTV came along and my entire library was out of date. Oops. When Blu-Ray was introduced, both the players and the discs were super expensive, so I although I didn't make the jump to Blu-Ray, I did stop buying DVDs. I couldn't see the point of replacing all my DVDs, and I could't justify paying a premium price to jump to Blu-Ray. It's not easy finding a quiet place to make a phone call these days. You never see phone booths anymore. What a shame. I loved them as a kid. 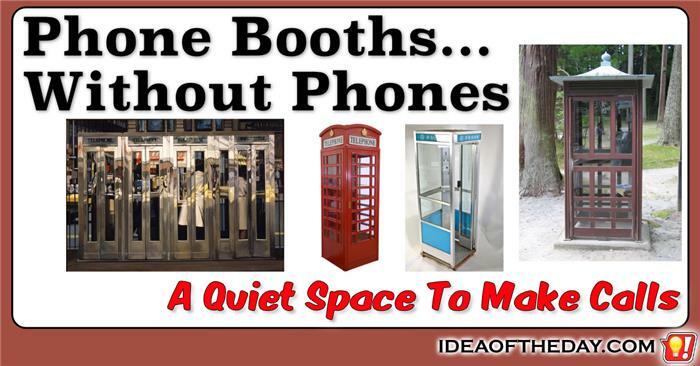 I realize most people have mobile phones these days, but I think phone booths would be very popular, even if they didn't have a phone inside, mainly because of their privacy. Phone booths not only give the caller a quiet place to make a call, they also help other people from listening in. Nobody likes standing next to somebody fighting with their spouse on the phone, or talking about their nagging hemorrhoids. I don't want to hear it, and I'm sure they don't everyone in the room to hear it either. R.I.P. FAX - How Manufacturers Should Modernize FAX Machines. 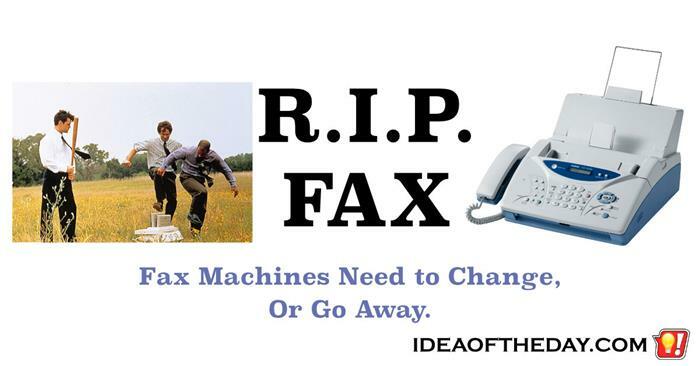 Fax machines will vanish, unless they step into the 21st century. When the first fax machine came out, it was expensive, and useless, because nobody else one. After all, what good is a machine that sends documents, unless you have people to send them to? So, the first buyers mainly bought them in pairs, so they could send documents between their own offices. As time went on, and the number of people who owned them grew, their usefulness increased to the point where people could potentially send documents to just about anyone. This was exactly what happened when the first phones were introduced. The first phones were useless, because there wasn't anyone to call. As more people got phones, the usefulness of having your own phone increased.